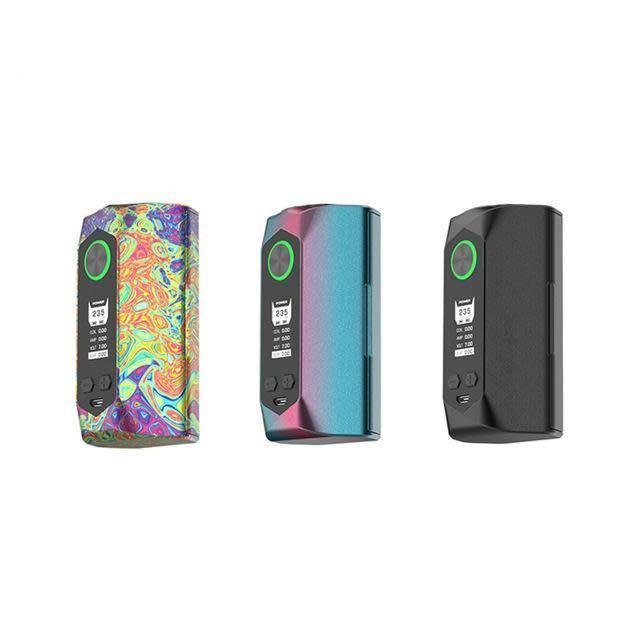 Geekvape Blade 235W TC Mod is a fantastic mod from Geekvape, which can be powered by dual 21700/20700/18650 batteries and maximum output reached to 235W to bring you great vaping experience. The Blade Mod is a high performance mod with aircraft grade material for lightweight and durable design. Geekvape Blade Mod comes with a round large fire button in the front of mod, and display screen shows every details clearly.